While all children grow and develop in unique way, some children experience delays in their development. Early Intervention Program is dedicated to helping children between 0-6 years. •Respects the family's strengths, values, diversity and competencies and answers families' questions about their child's development. As per the statistics, in Tumkur and Koppal District of Karnataka 58,957 are People with Disability. In that approximately 5000 children with disability are less than 10 years of age. This augments new dimension of complexity to the region which is already suffering from low socio economical indices. We at GiftAbled decided to provide support and aid through constructive plans and projects. Right care that would include early identifying development delay. Inclusion of surgeries, therapies and rehabilitation activities based on the need. Inclusion of Aids and appliances like Ankle foot orthosis, Seating chair, Standing frame and toys. 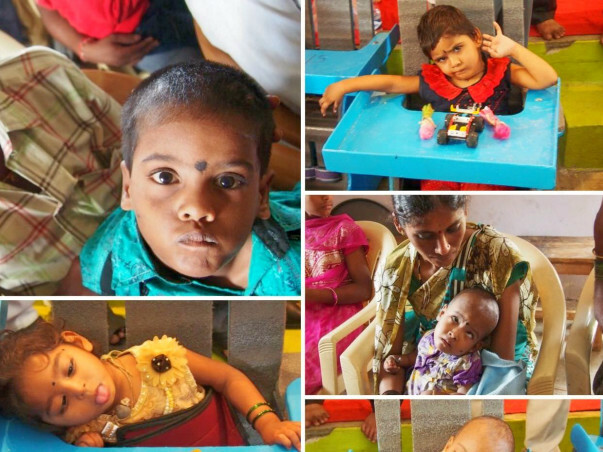 We aim to raise funds of 10 lakh to support 300 Children in next 3 years through our early intervention program in Tumkur District of Karnataka. This funds will be utilized in having a physio therapist to support and run the Early Intervention center for 2 years in Tumkur District.